I actually finished this hat for hubs quite a while ago... it was my "trying not to have a baby by sitting on the couch 24/7 during the ice storm" project the last week of January. Life has been so crazy ever since that I never got around to blogging about it. 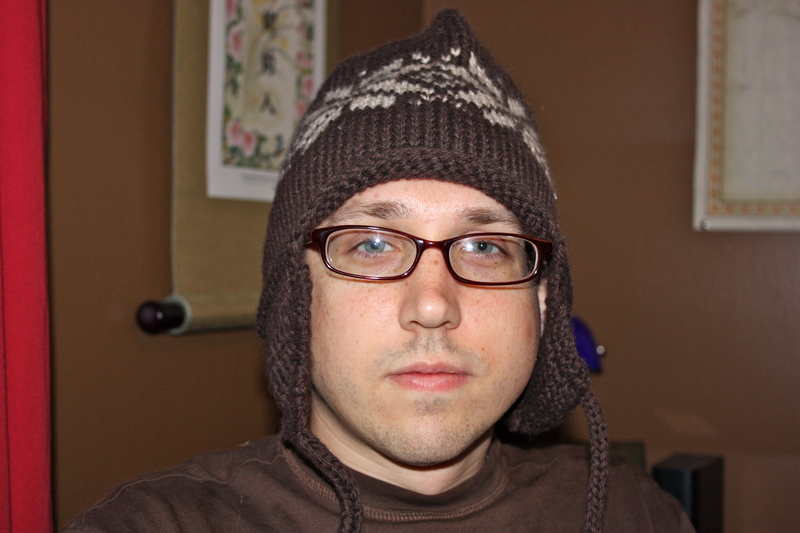 I had asked hubs what I could knit for him and he said he'd like a hat that kept his ears warm in the winter. 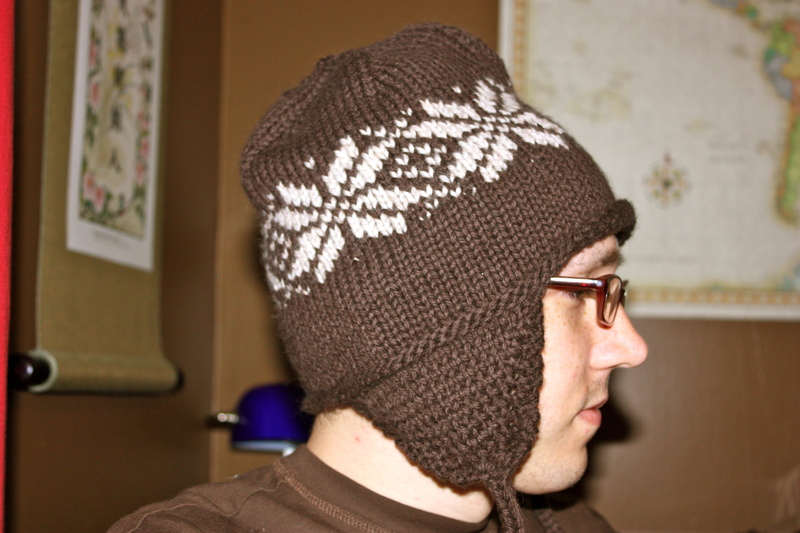 I fell in love with this hat as soon as I saw the pattern on tiennie knits. Nevermind the fact that I'd never knitted anything more complicated than a scarf. It was actually a lot easier than I thought! I'm absolutely addicted to fair isle now (that's the name for putting designs in knitting, for my non-knitting friends ;) ). oh my goodness... great job on the hat! i so want to learn to knit.